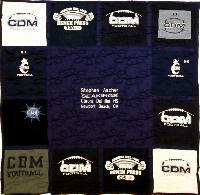 We have several colors available in our backing fabric. 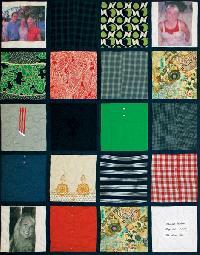 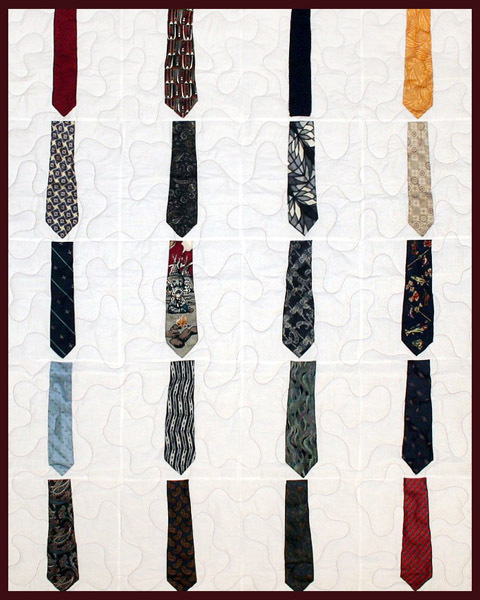 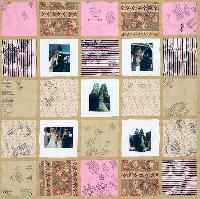 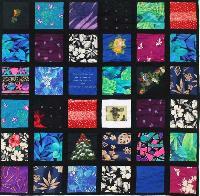 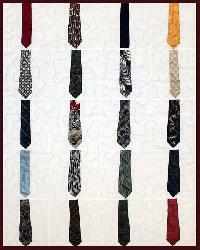 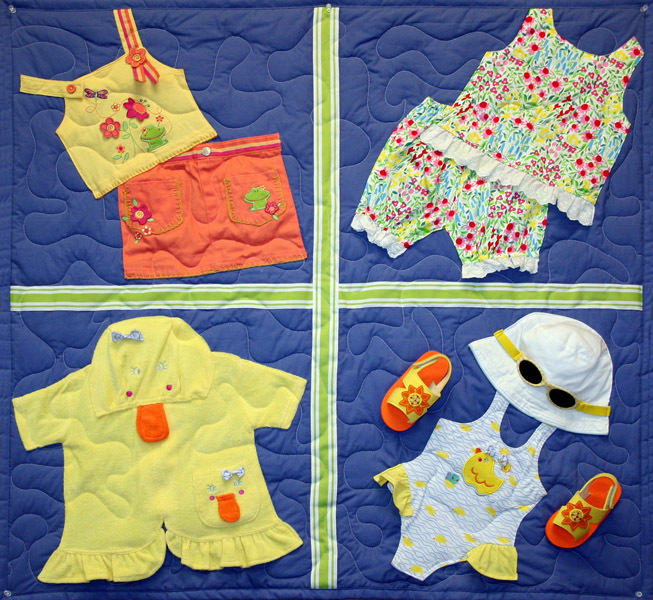 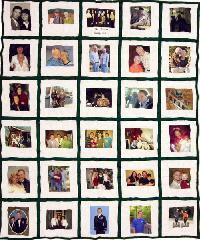 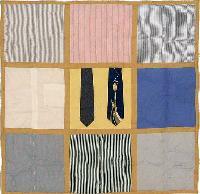 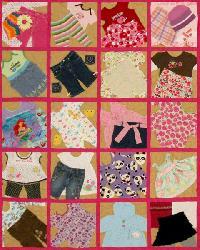 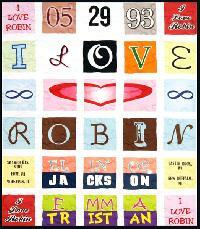 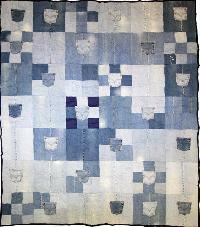 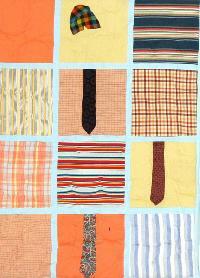 We will use one of the following patterns on your quilt. 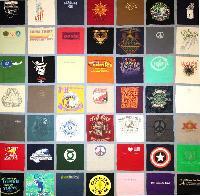 If you want to specify one, please let us know when you return your t-shirts. 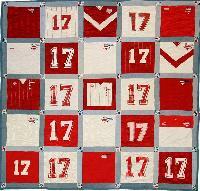 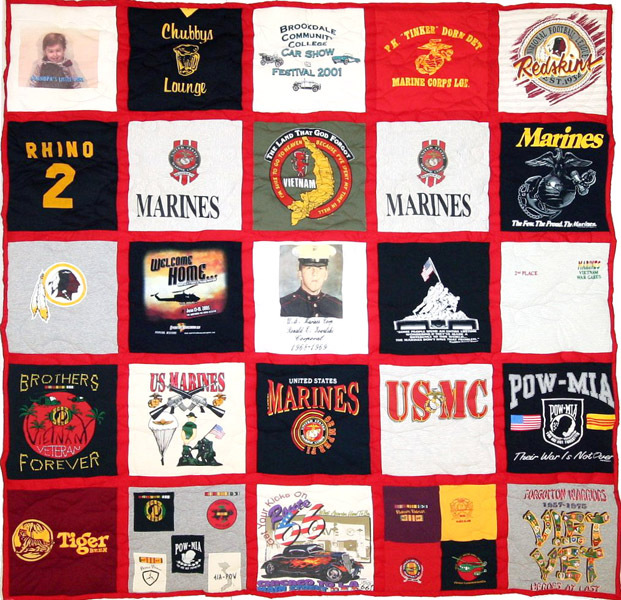 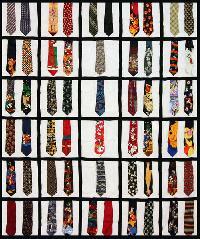 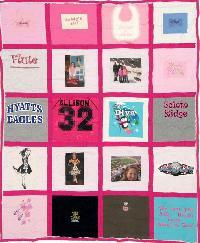 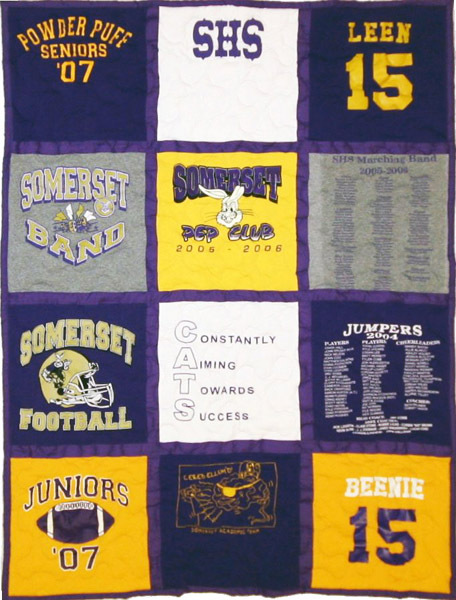 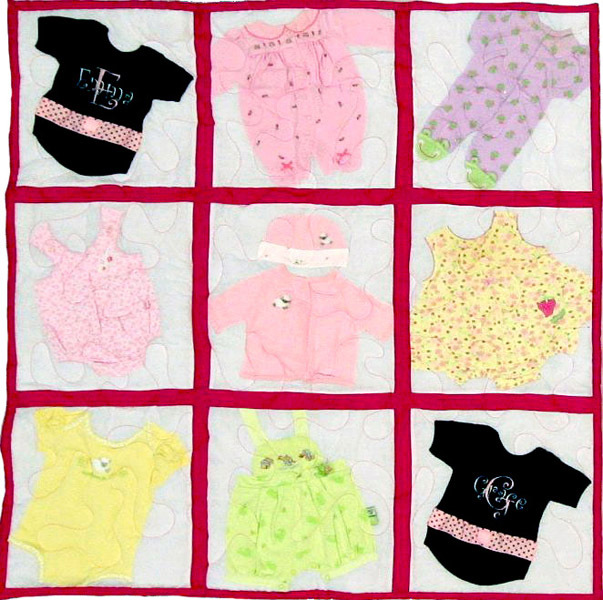 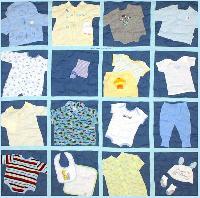 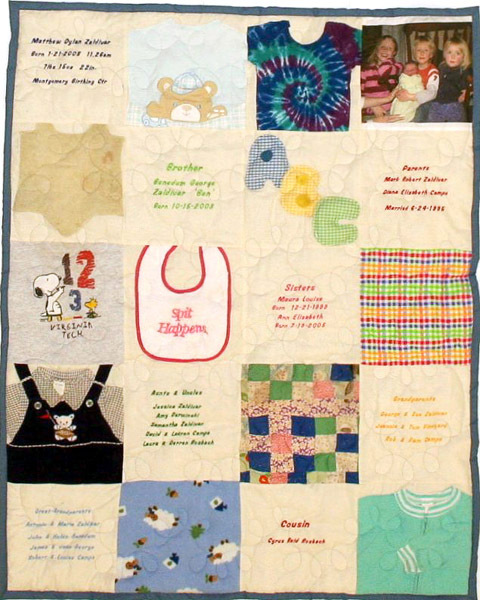 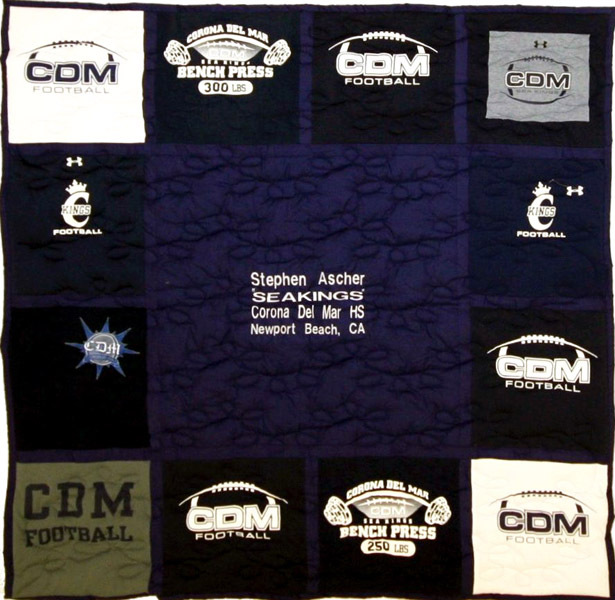 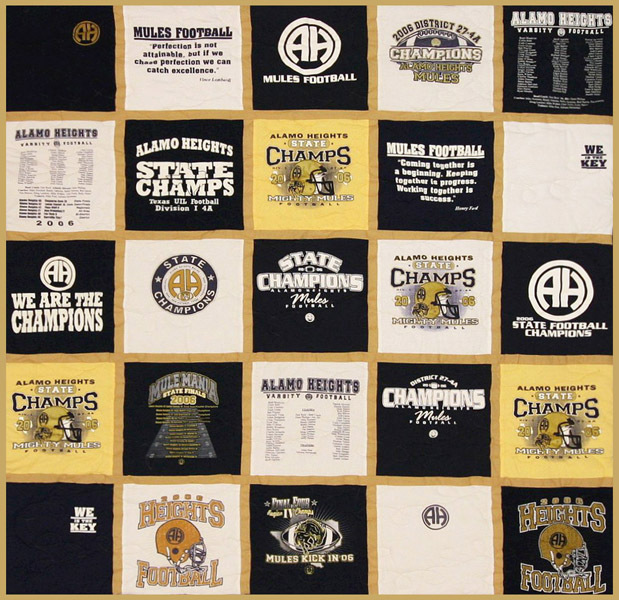 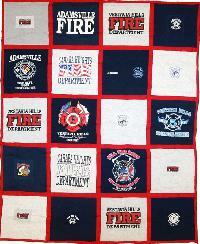 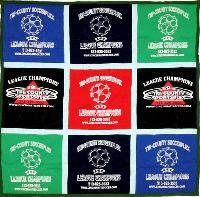 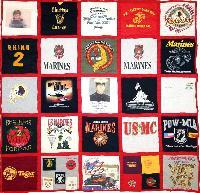 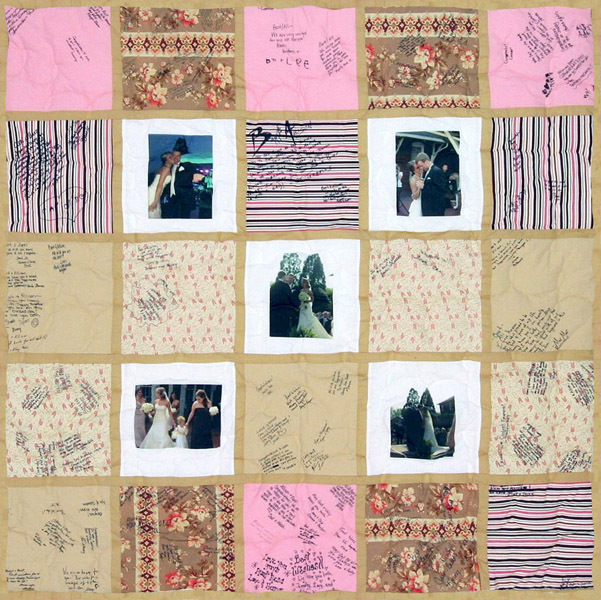 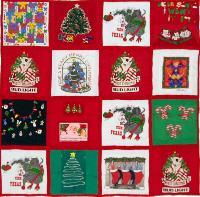 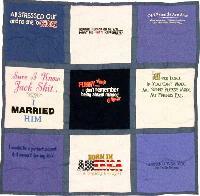 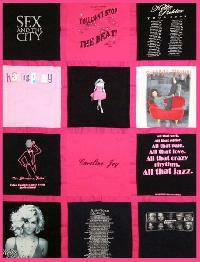 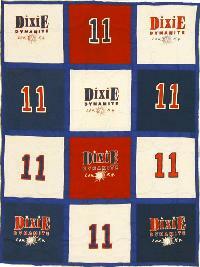 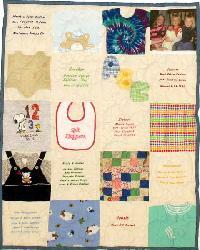 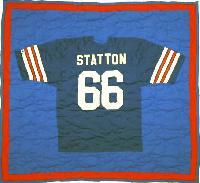 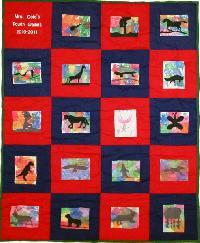 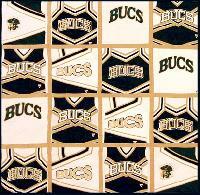 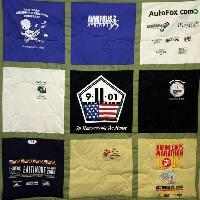 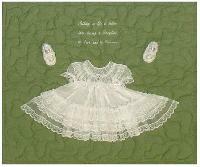 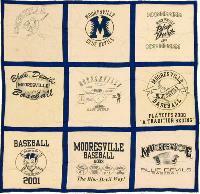 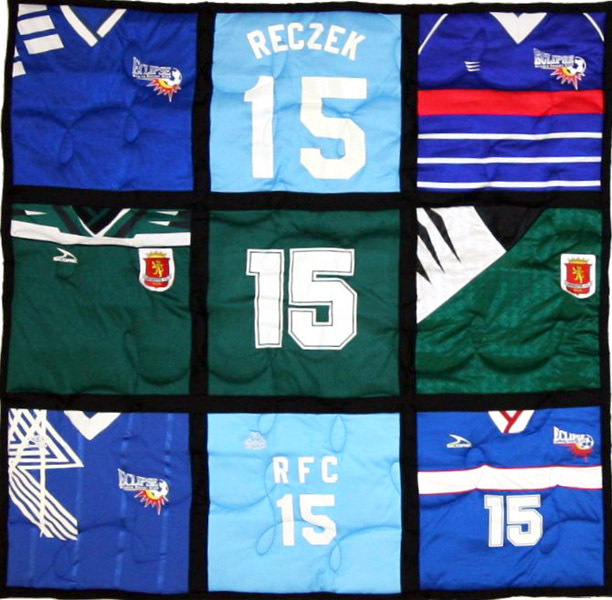 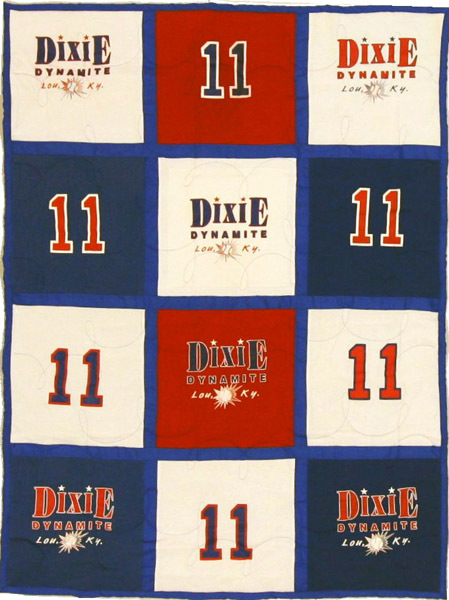 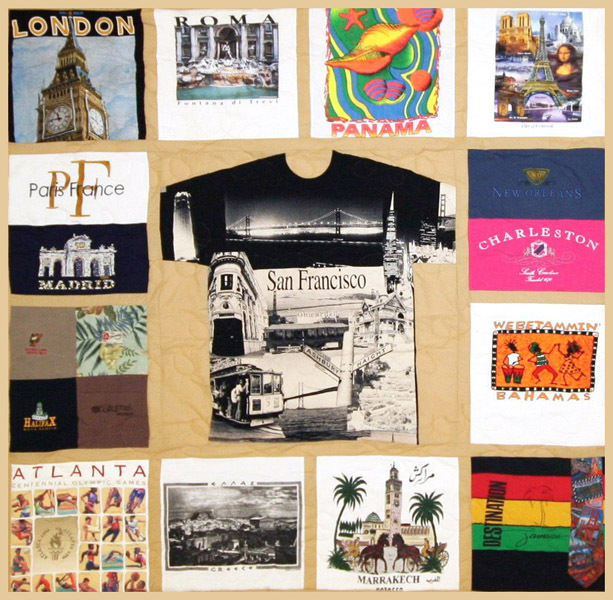 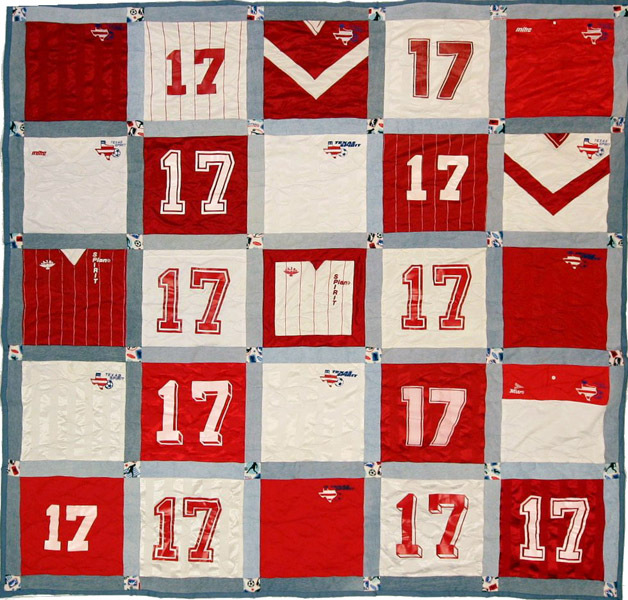 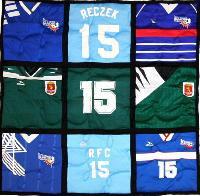 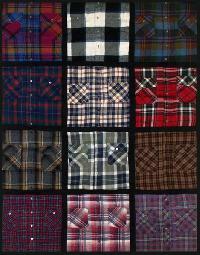 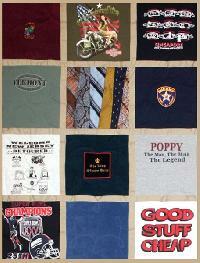 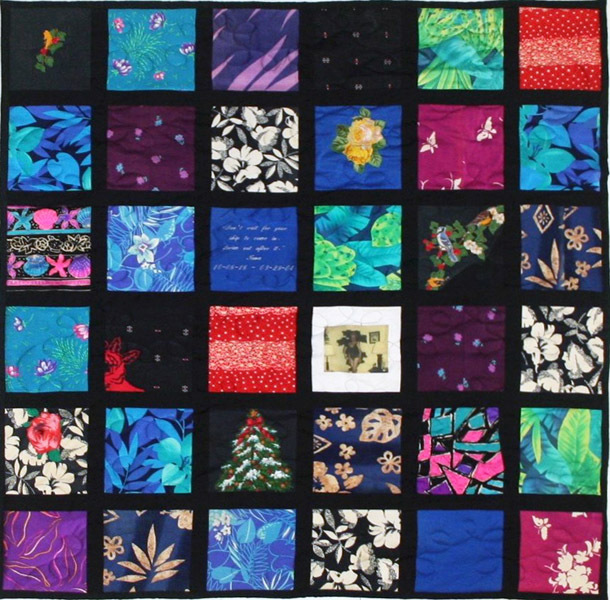 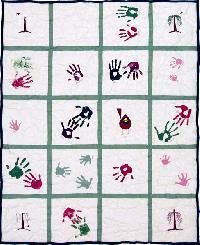 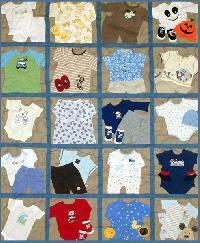 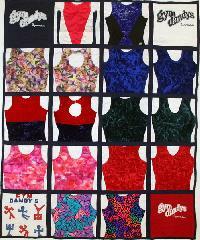 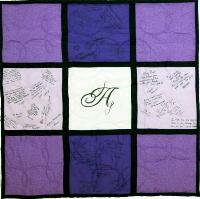 Some images show optional sashing, embroidery, or additional custom work. 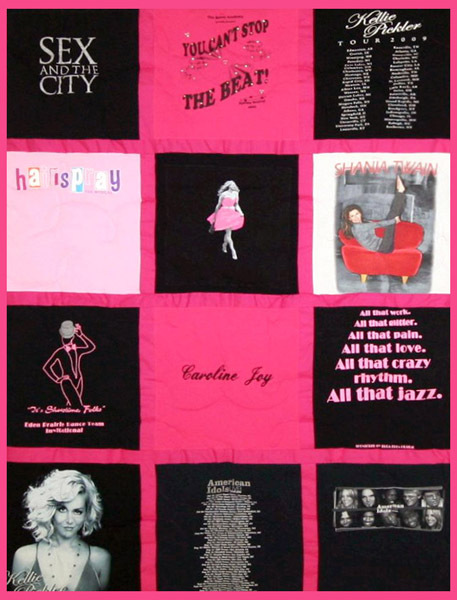 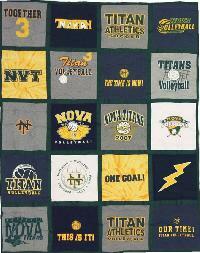 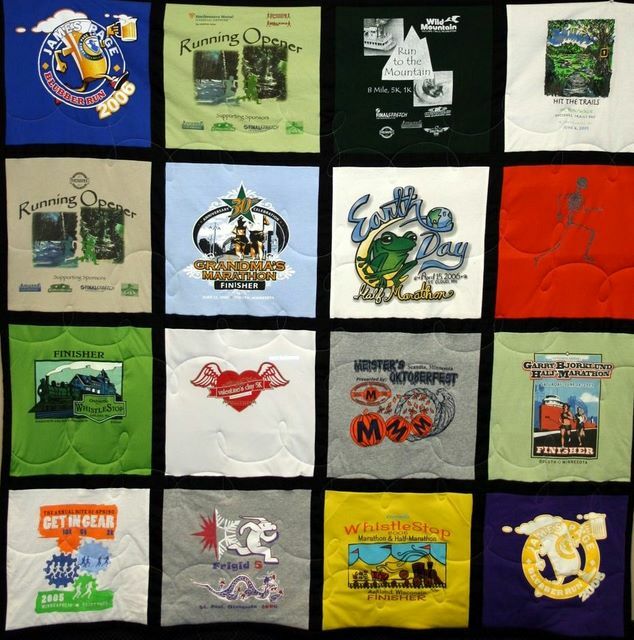 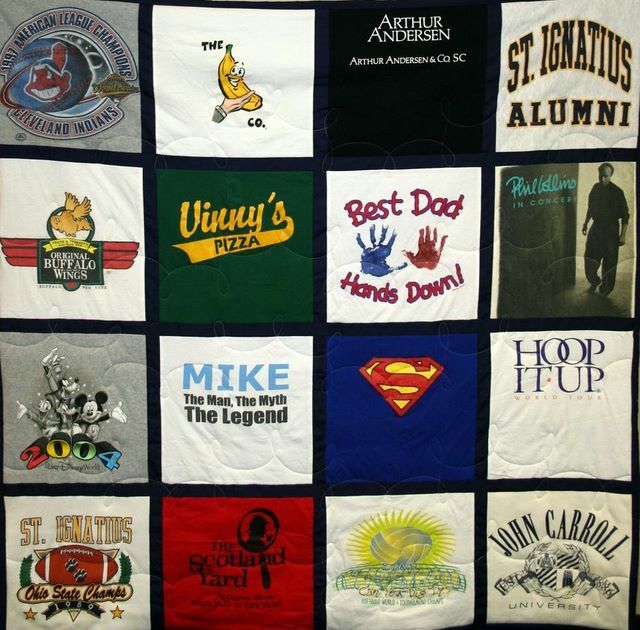 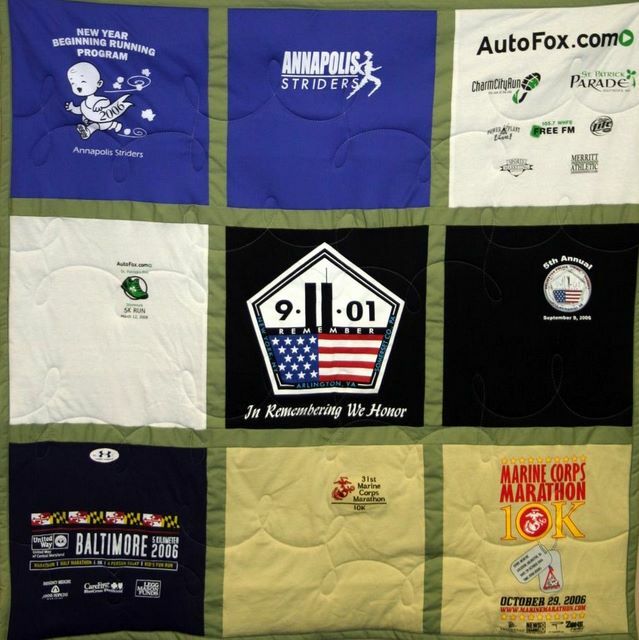 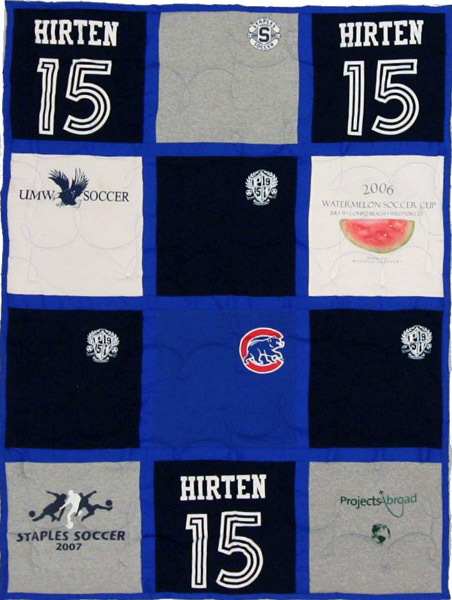 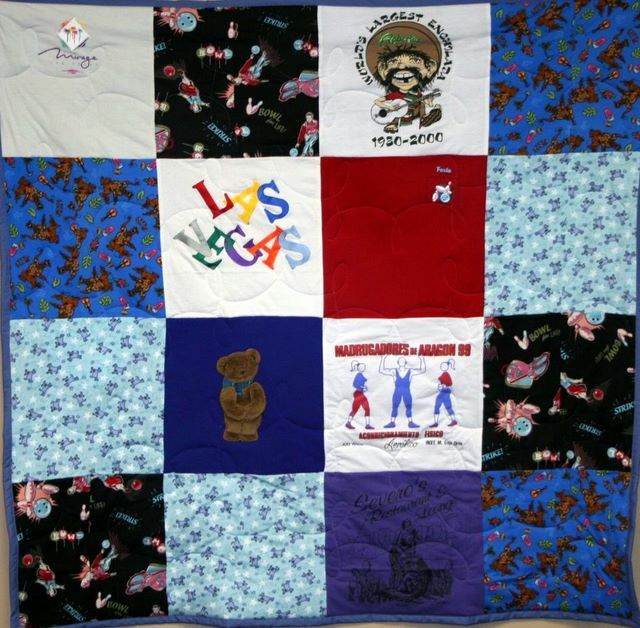 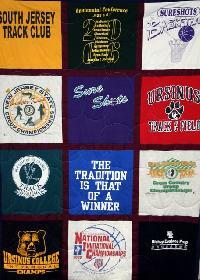 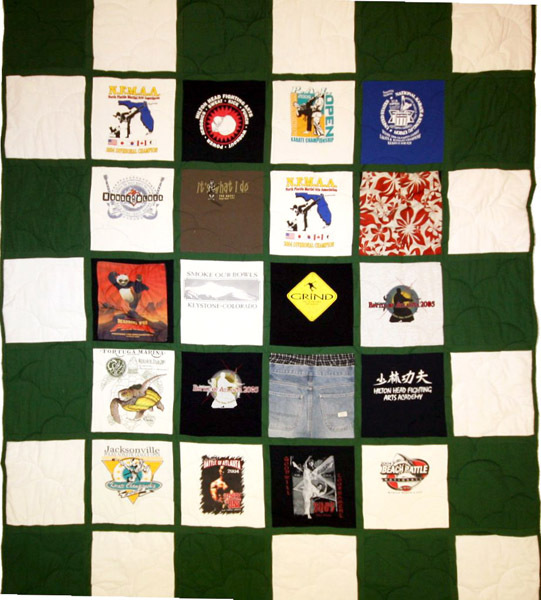 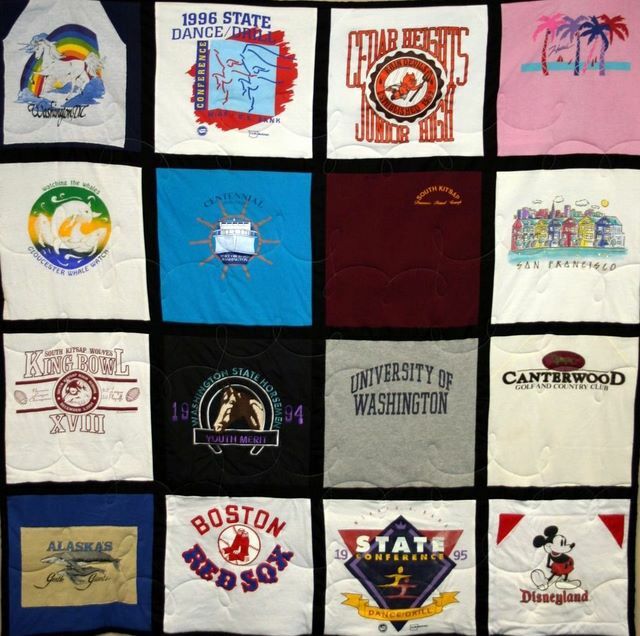 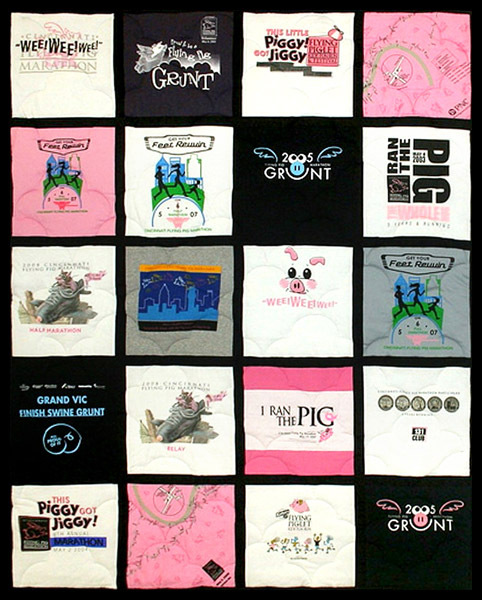 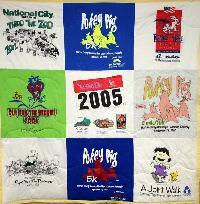 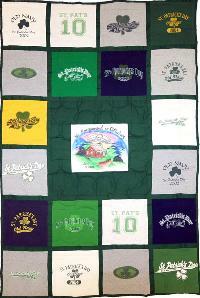 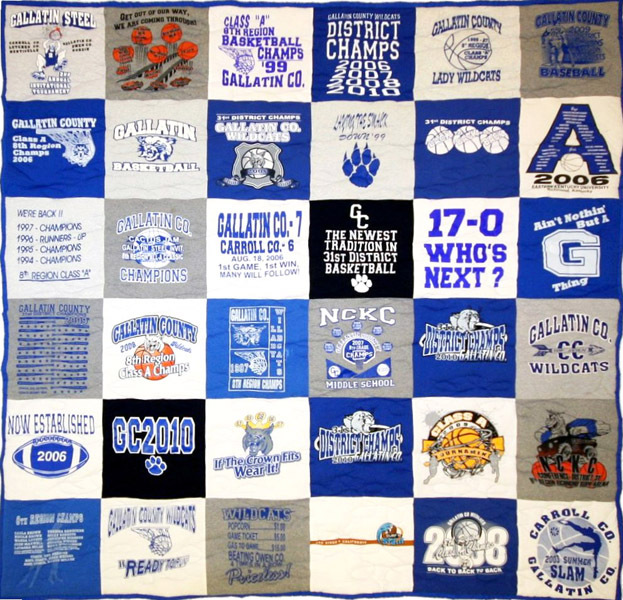 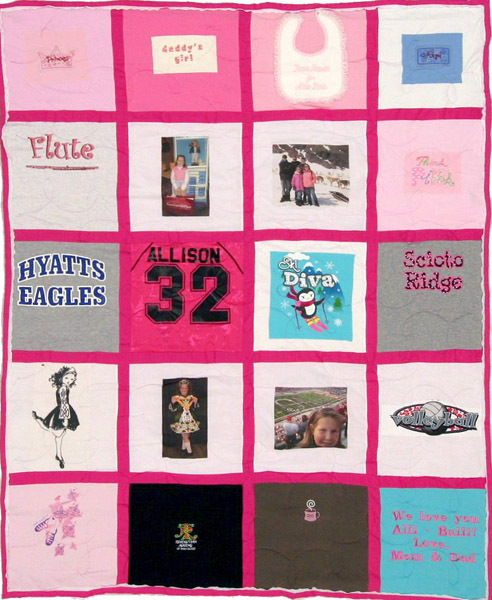 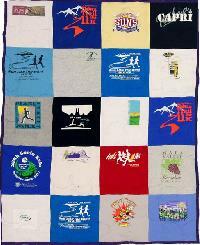 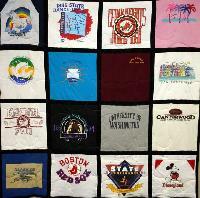 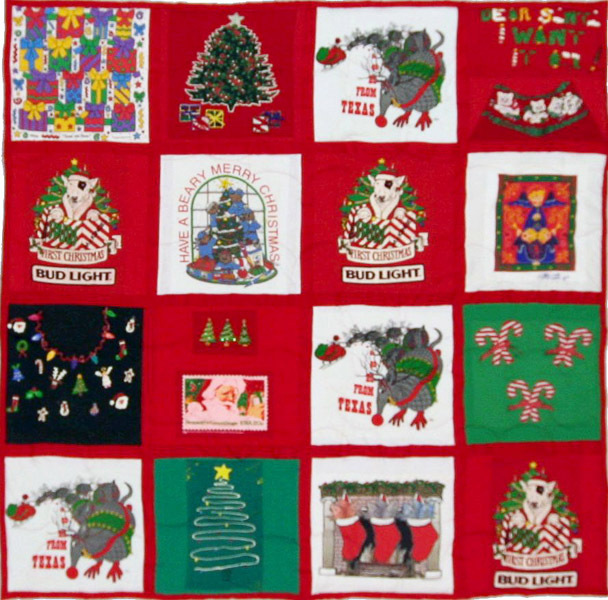 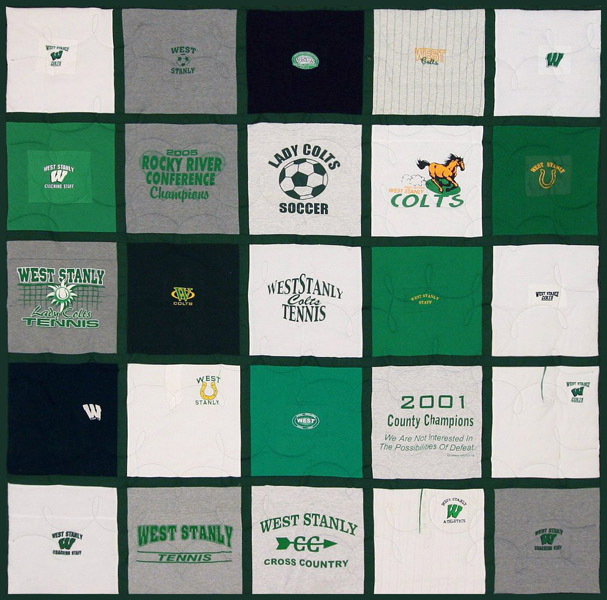 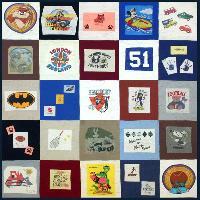 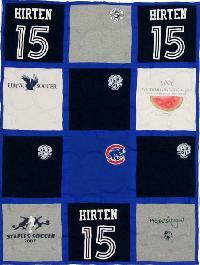 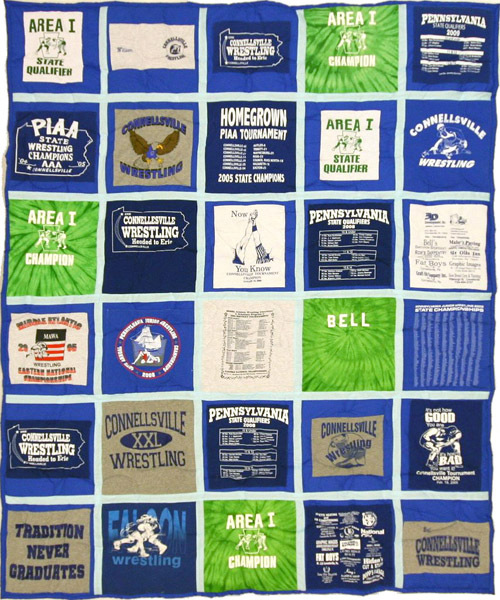 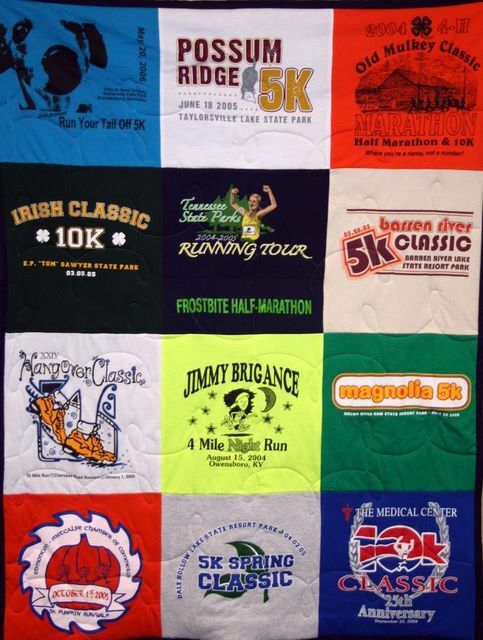 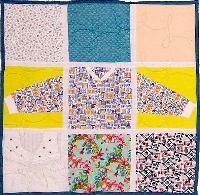 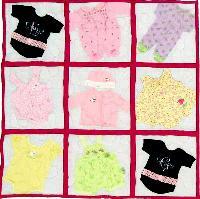 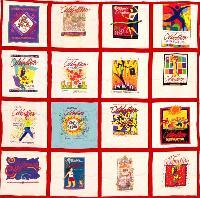 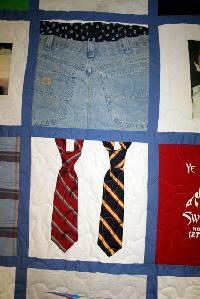 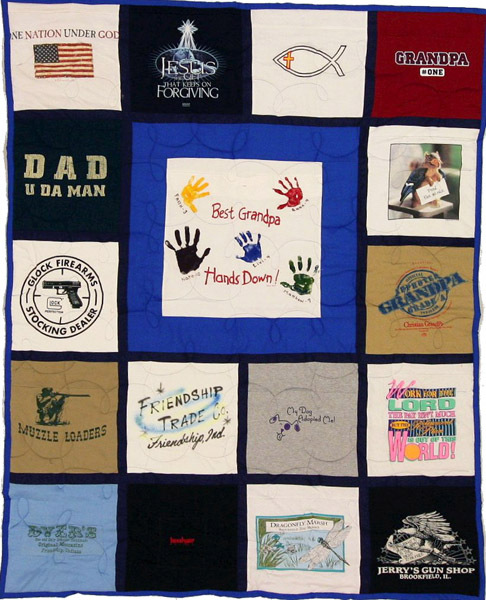 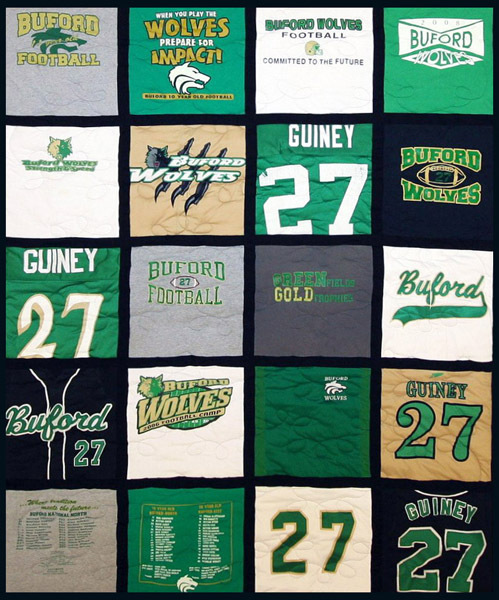 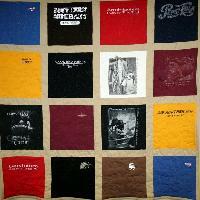 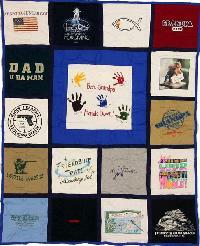 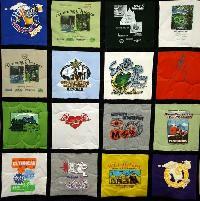 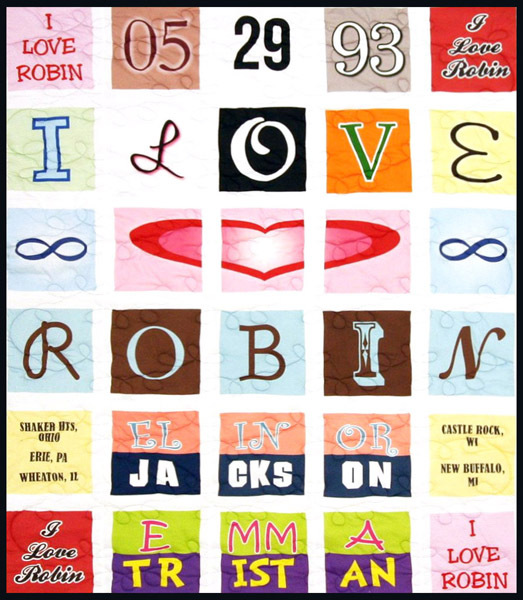 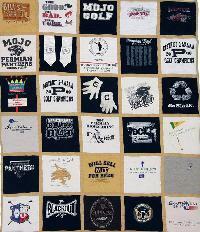 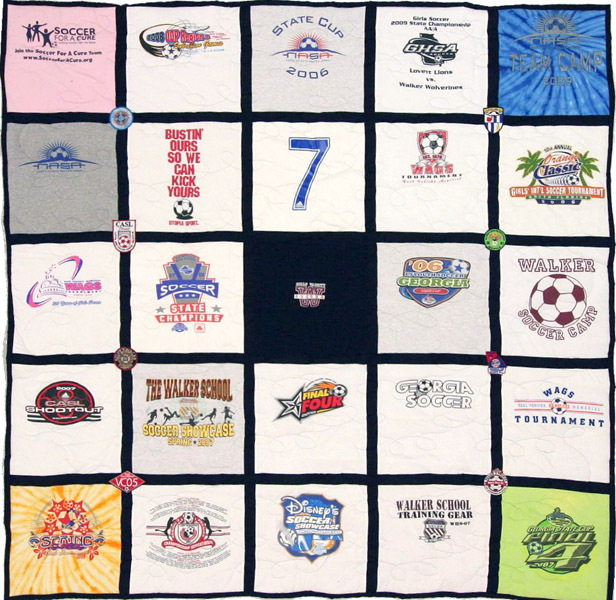 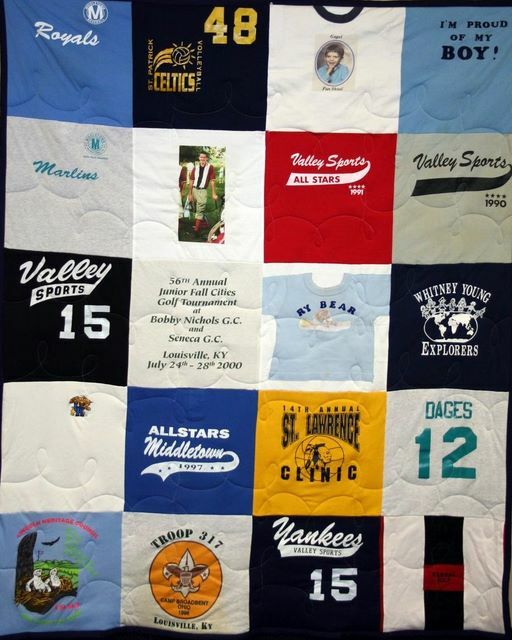 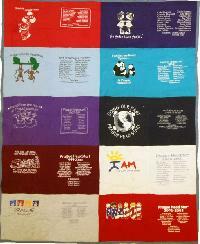 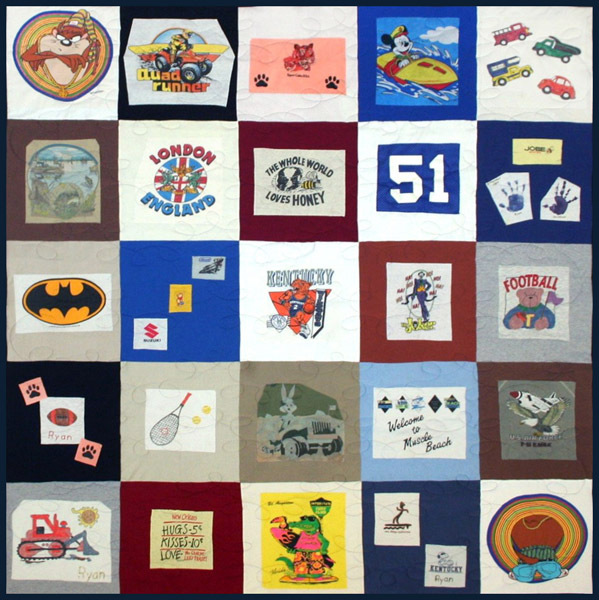 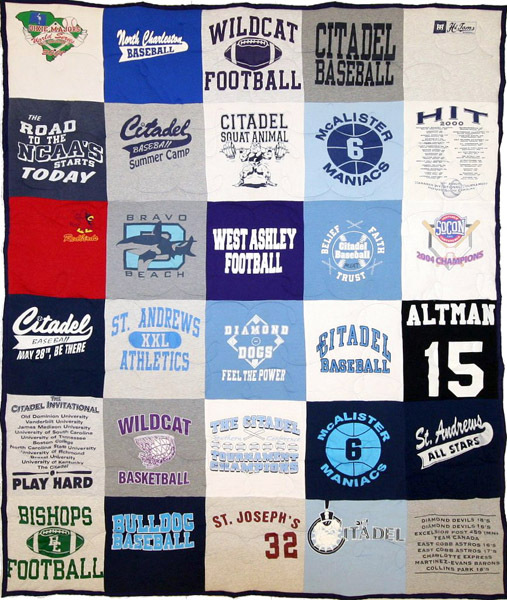 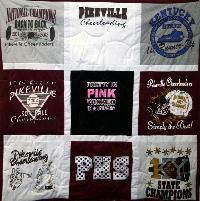 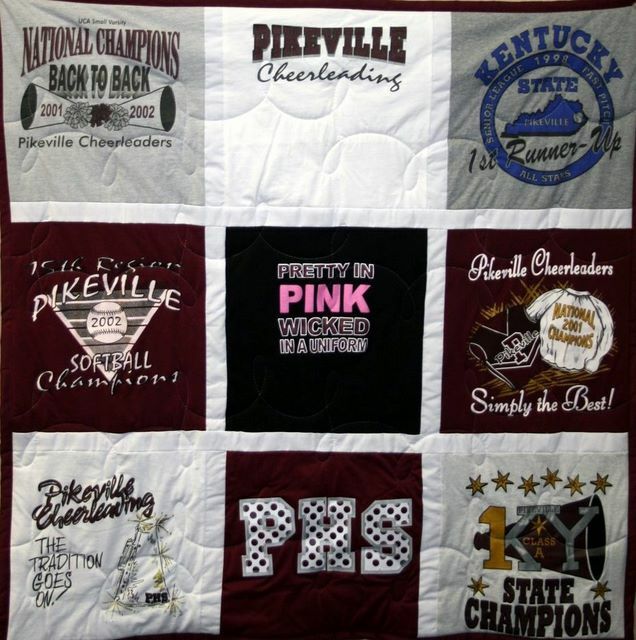 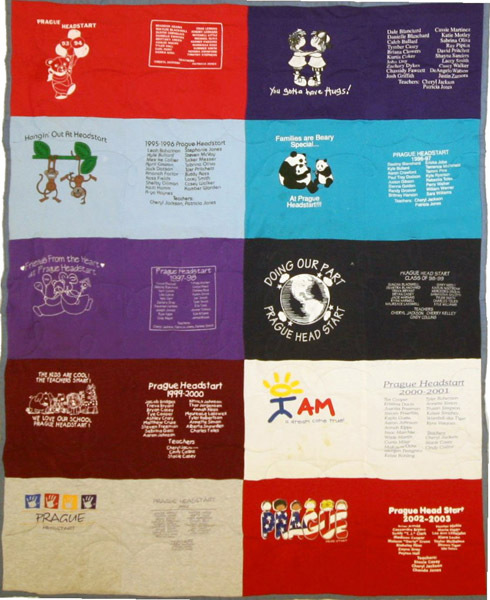 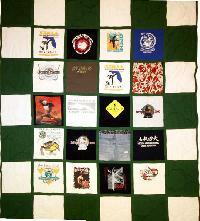 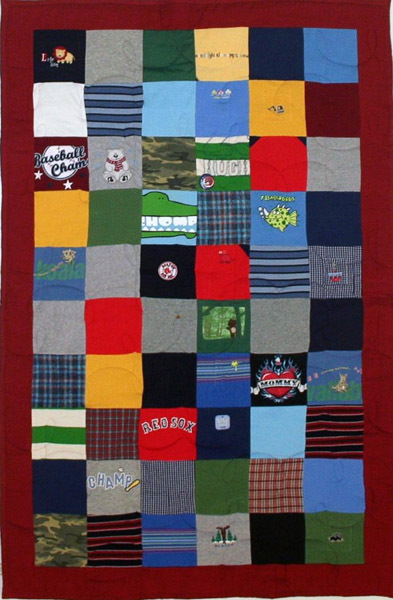 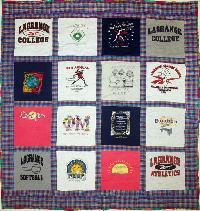 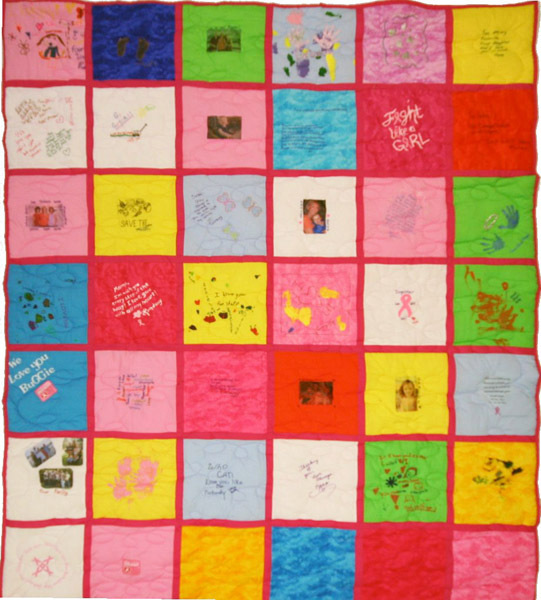 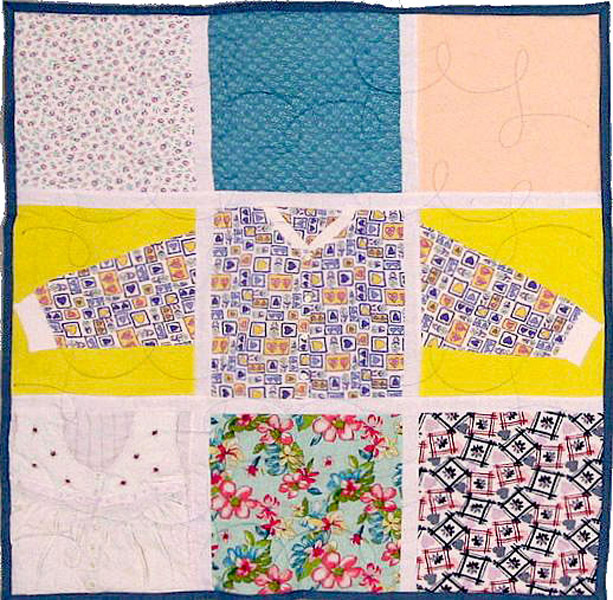 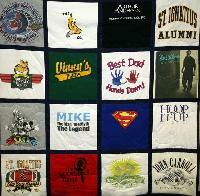 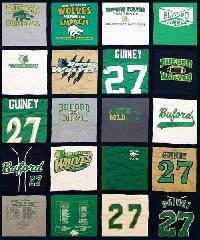 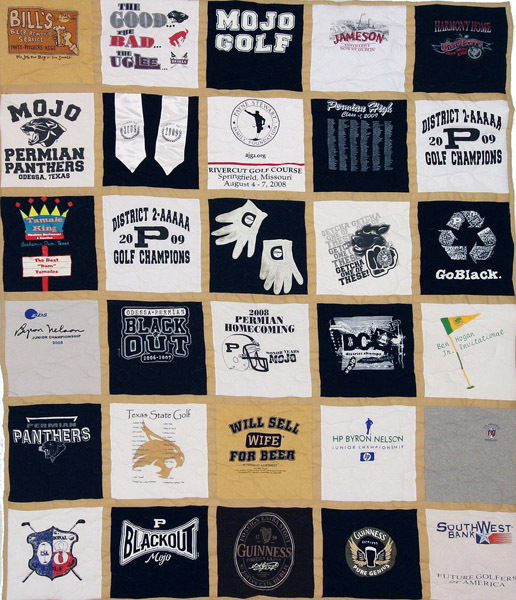 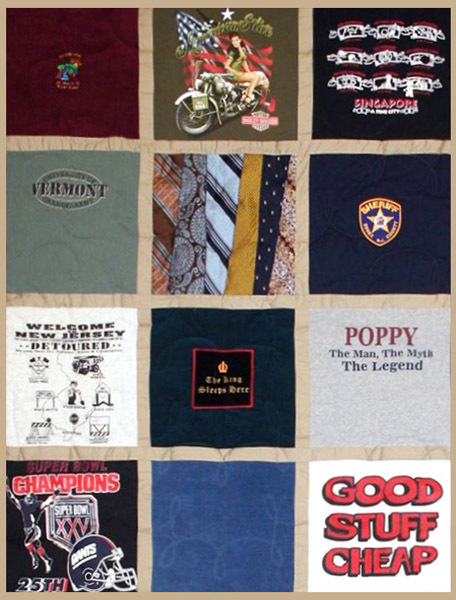 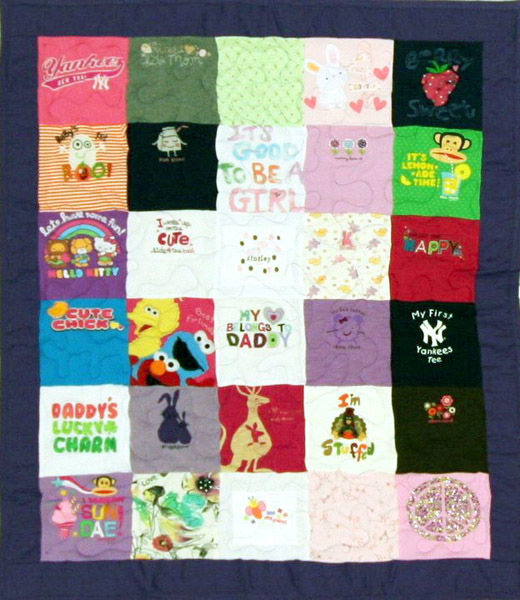 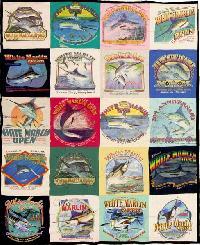 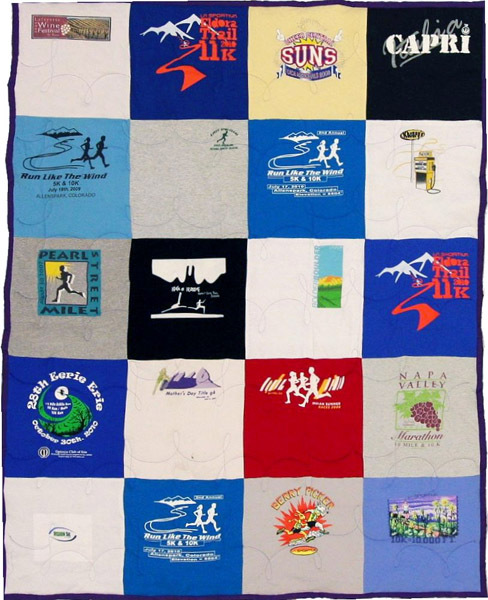 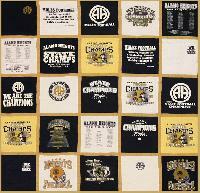 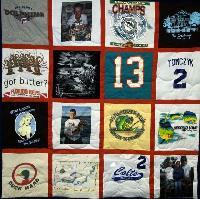 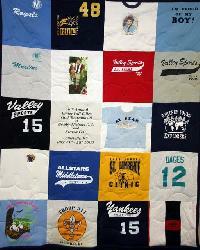 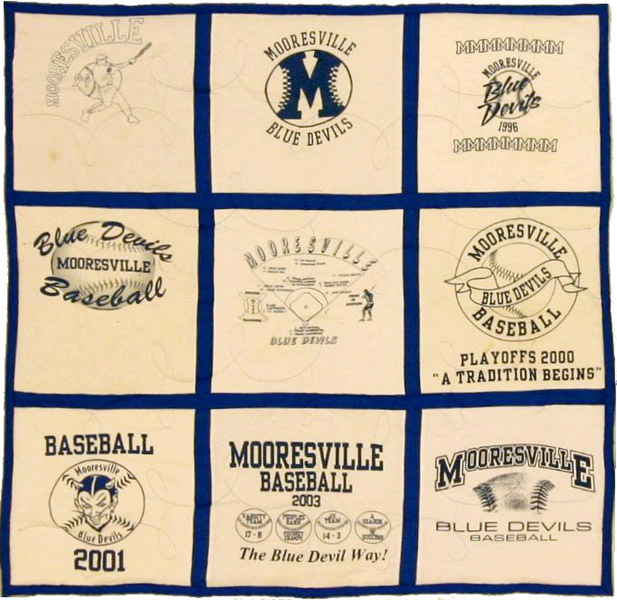 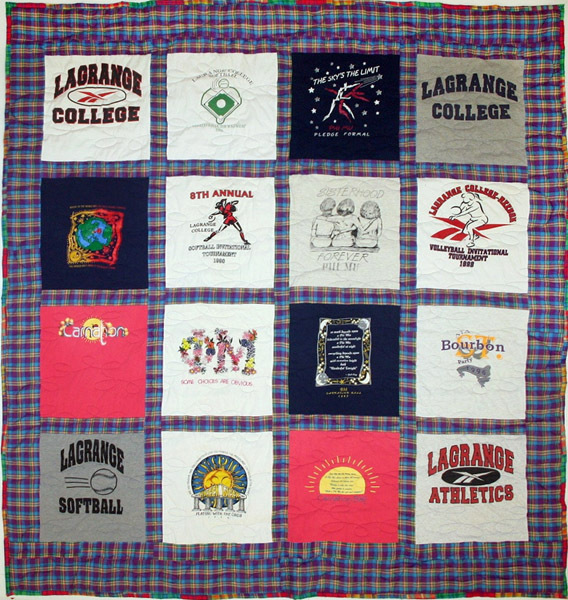 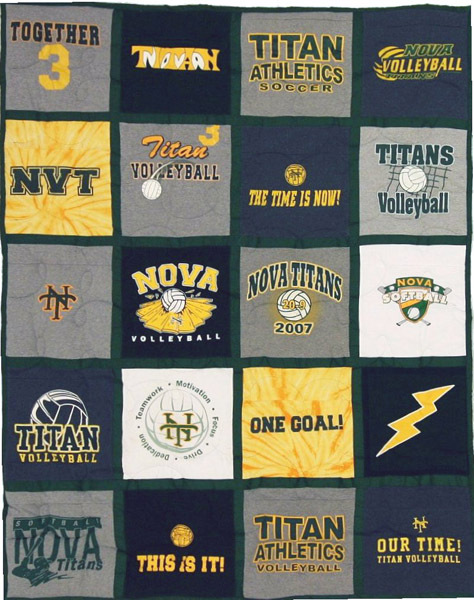 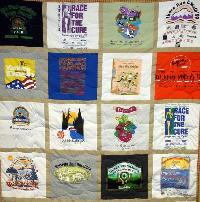 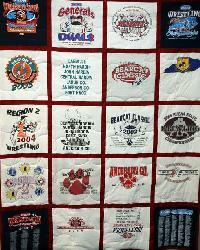 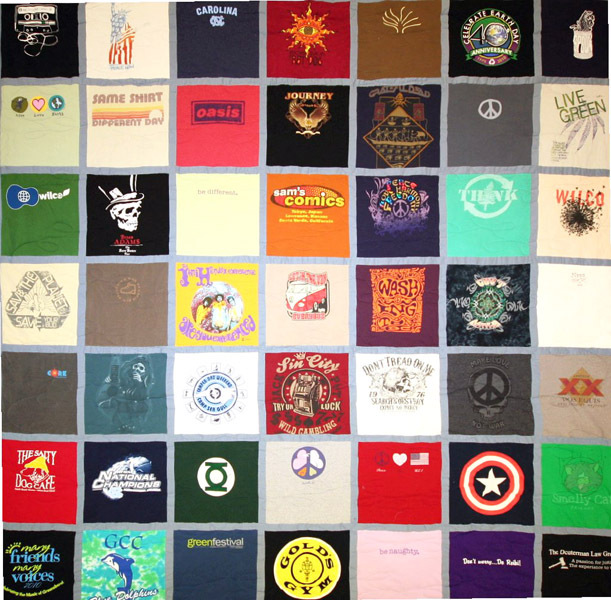 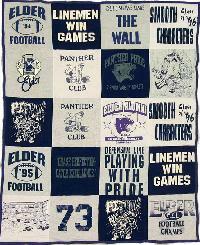 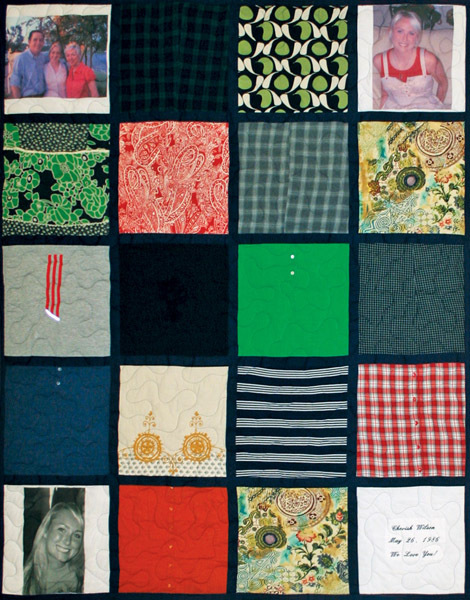 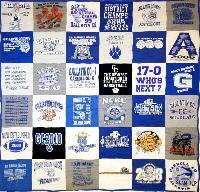 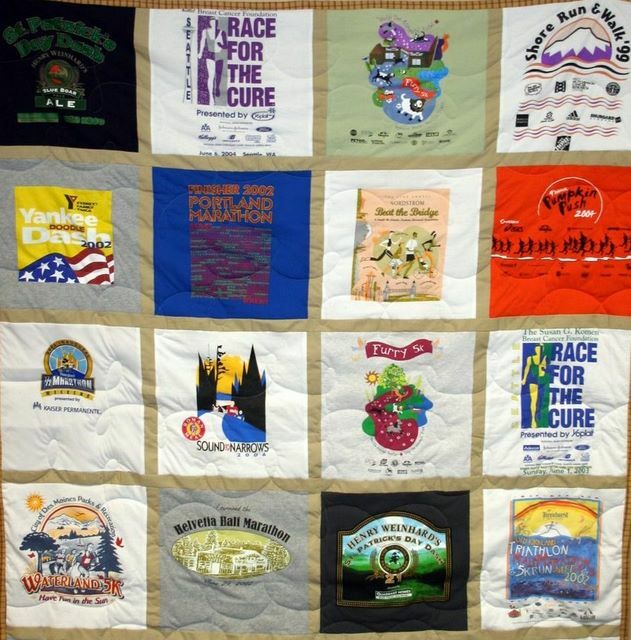 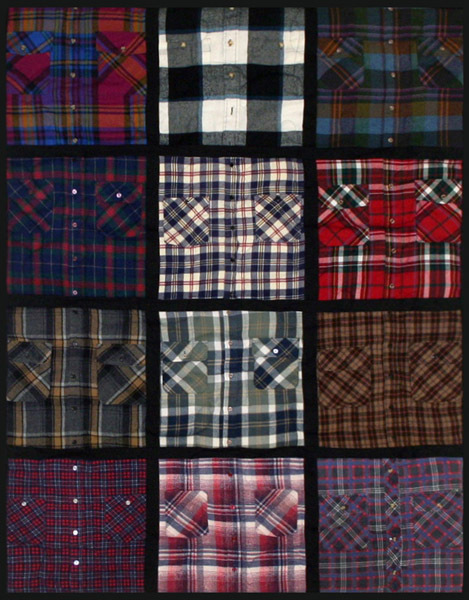 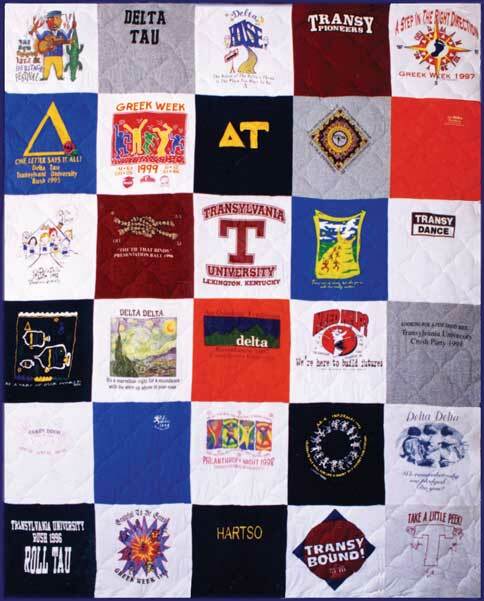 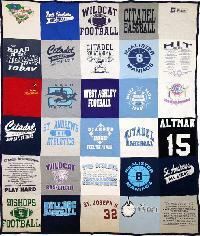 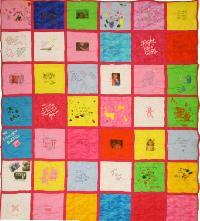 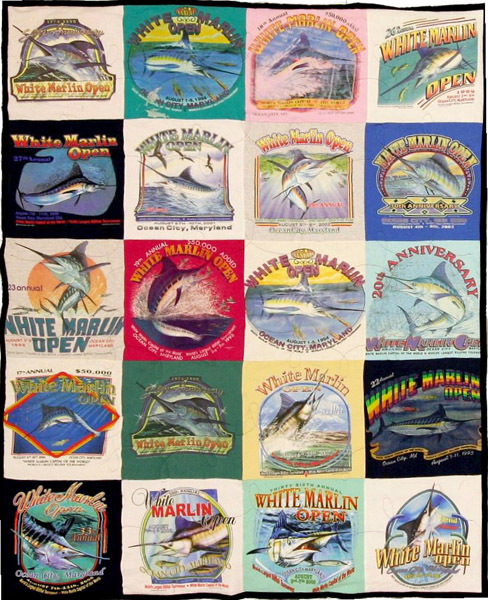 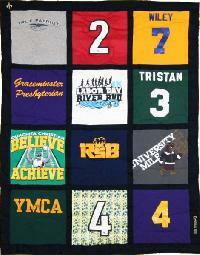 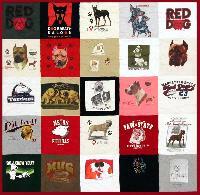 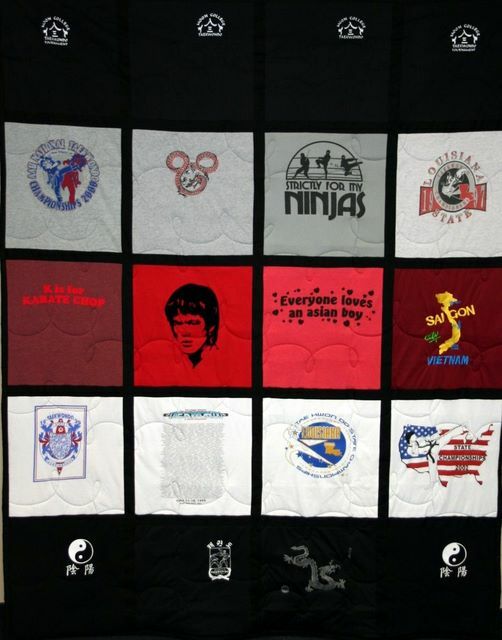 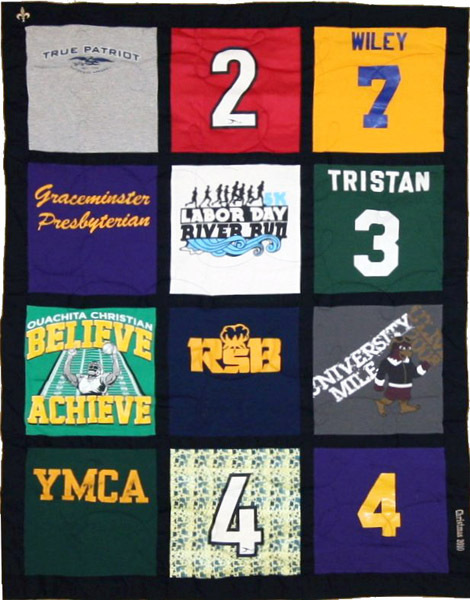 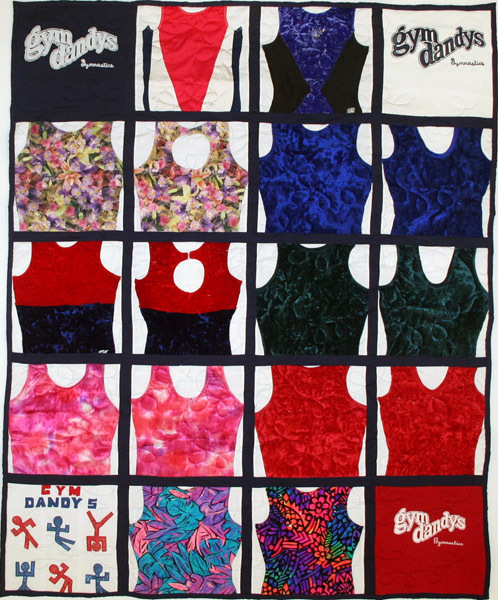 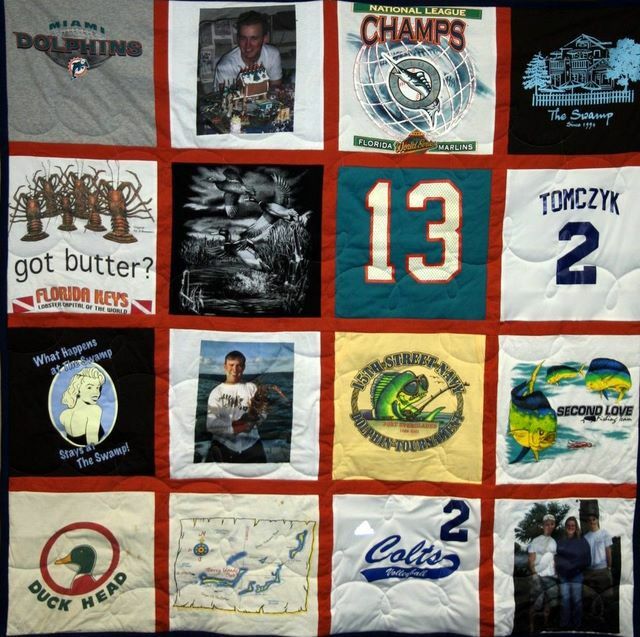 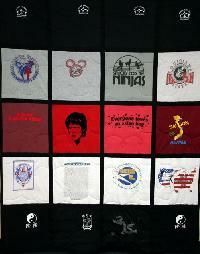 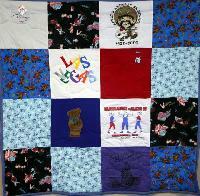 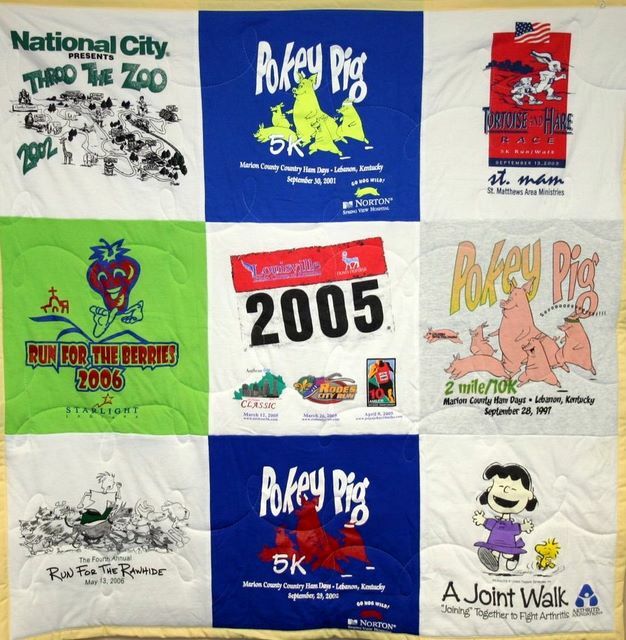 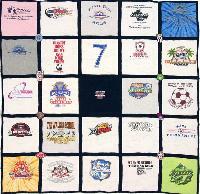 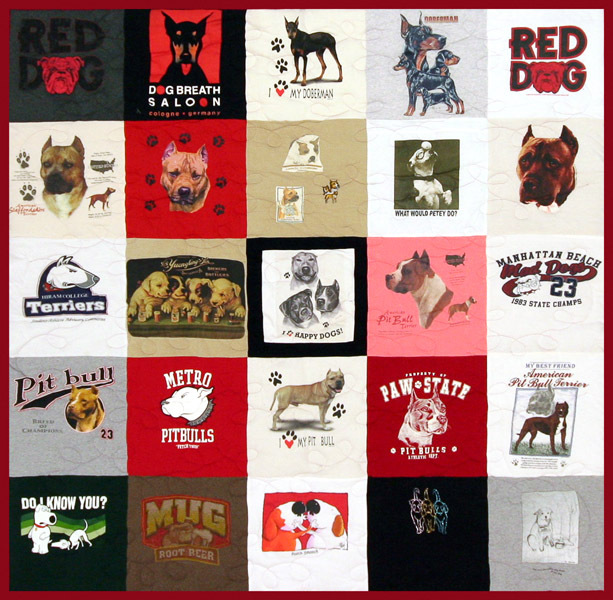 T-shirt quilts are made out of your t-shirts by Campus Quilt Company. 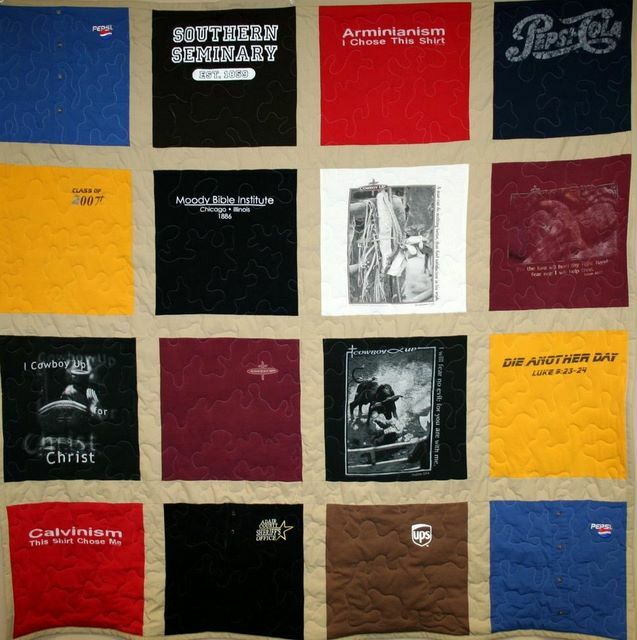 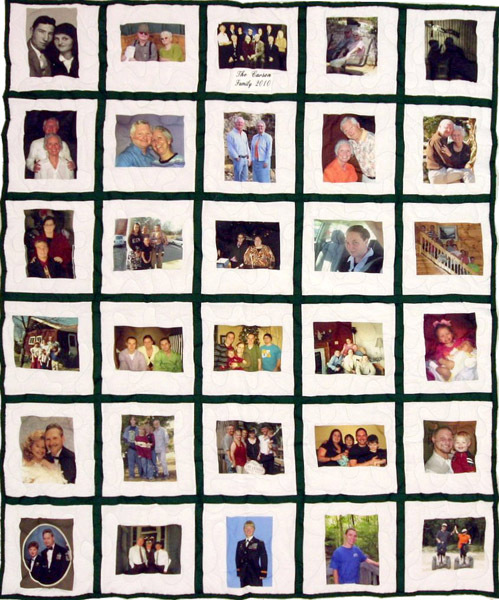 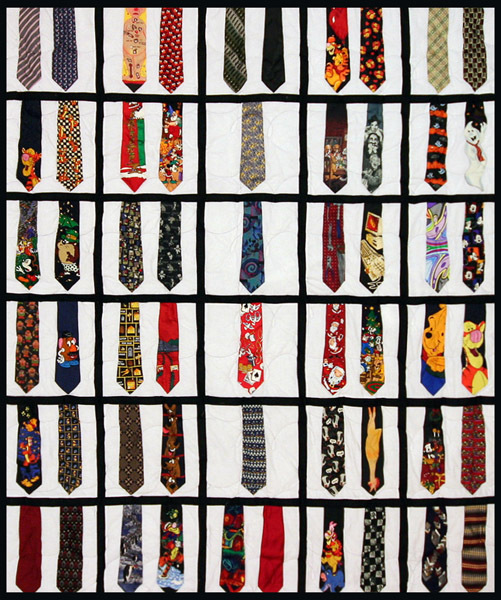 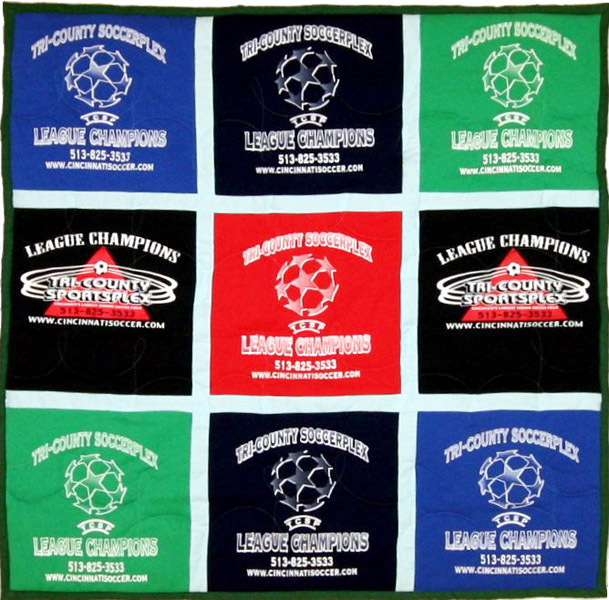 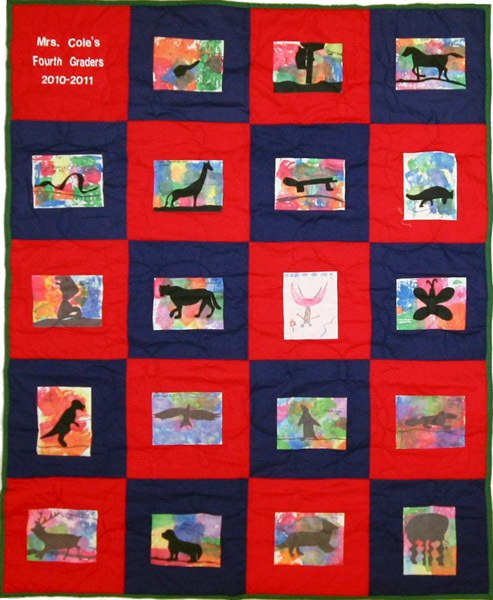 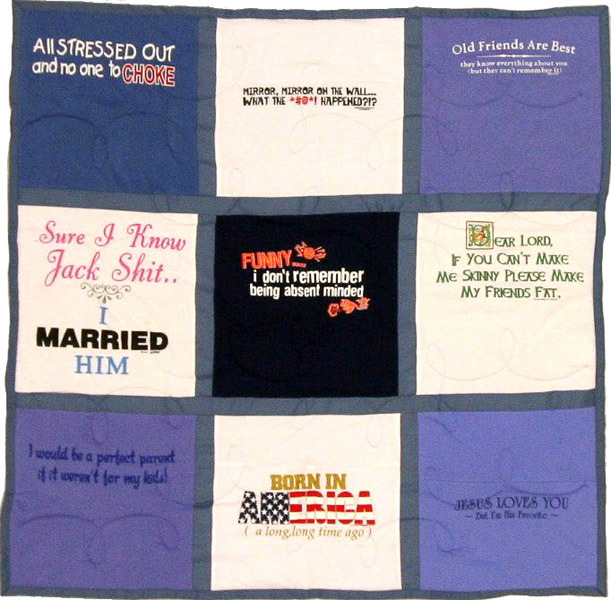 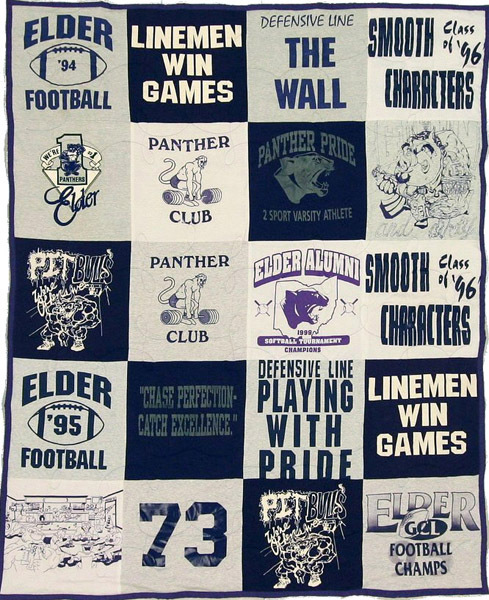 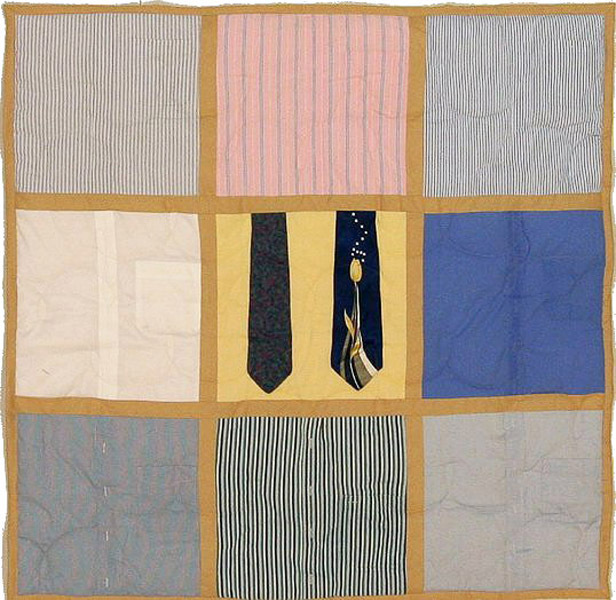 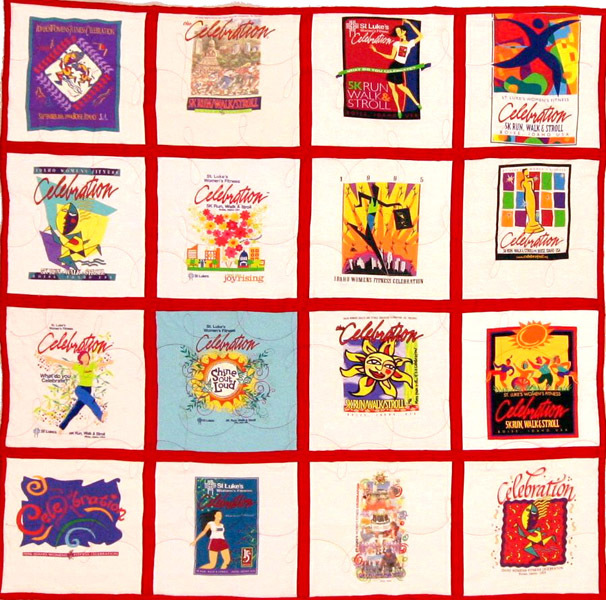 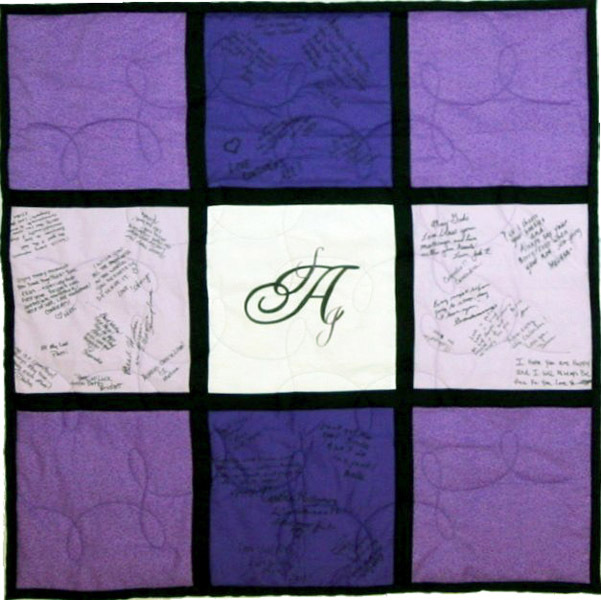 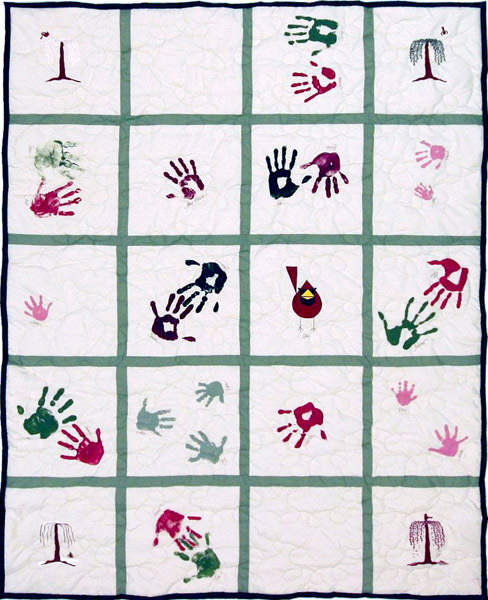 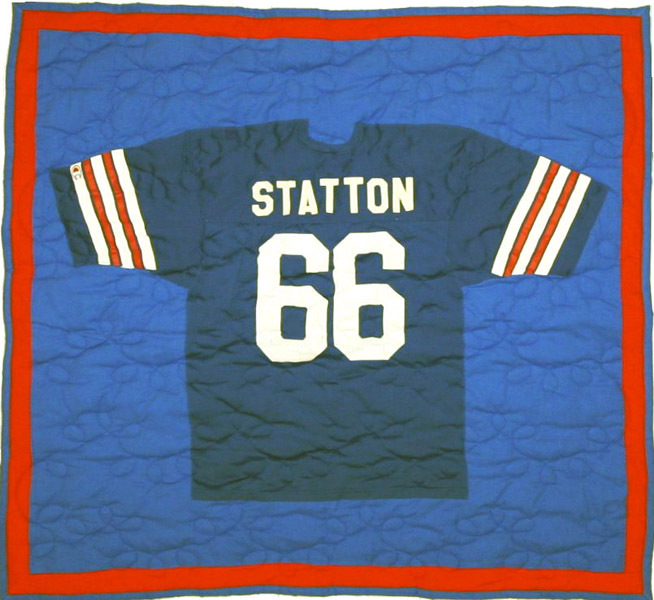 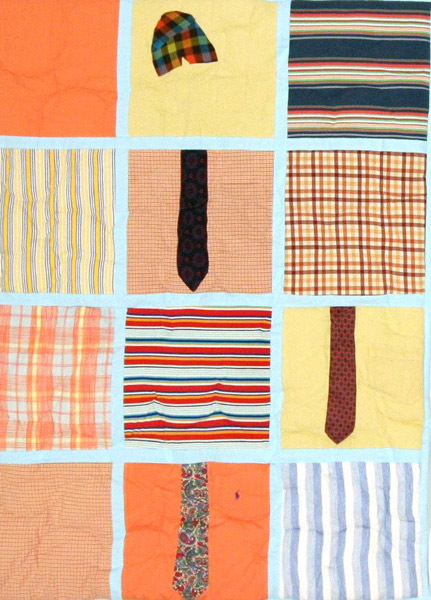 All trademarks are property of their owners and are not connected with Campus Quilt Co.